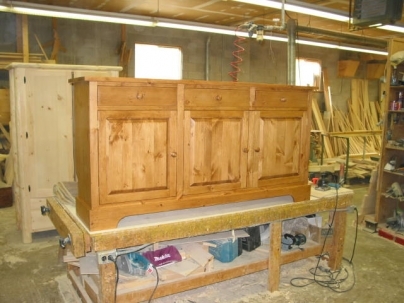 A custom buffet with raised panel doors. 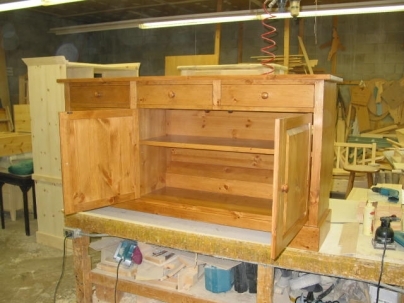 This cabinet had a special design to allow it to fit over a fixed radiator yet still be flush to the wall. 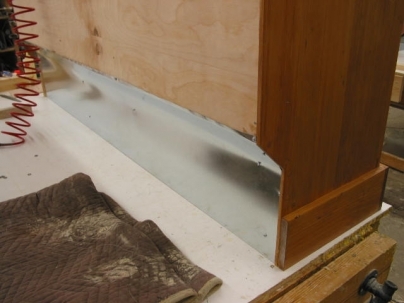 The cabinet cut-out in the back was lined with galvanized tin to reduce heat transmission.